Wow! The World’s Biggest Bat! Made of steel, it weighs 68,000 pounds, stands 120-feet tall and leans against a building in Louisville Kentucky which looks almost identical to our #222water. The Big Bat is an exact-scale replica of Babe Ruth’s 34-inch Louisville Slugger bat. What would you like to see on our waterfront? 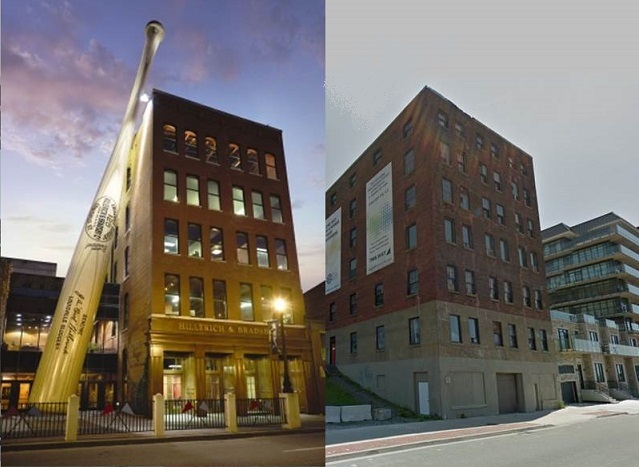 By Stephanie in Commercial Real Estate, Heritage, Partners Global, Saint John on June 5, 2015 .